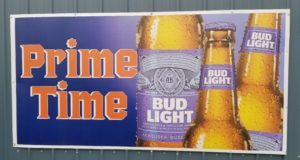 Prime Time Bar and Grill is THE local bar and grill in Eureka SD! It is not just because it is the ONLY restaurant in town, but because of friendly staff and great food served. The owners have been helping build the business for several years and have built a solid reputation in the community. Seller willing to train for 3 months and then support for 3 months. The biggest asset involved in the sale of Prime Time Bar and Grill is the real estate. With 3 lots and two buildings that are attached, the restaurant boasts a max capacity of 200. There is the bar and restaurant on the main level, and also a basement where they house the dart league. The sale also includes a 2 bedroom apartment above the restaurant which is either a housing or an income generating opportunity for the new owner. This is the only full restaurant in town. It is also one of the only two bars in town. The population isn’t huge in Eureka, but as a farm town people fill the place for lunch and dinner, as well as order carry out. The late night crowd also come down and keep the place busy! There are several opportunities that Prime Time has to increase its value and income. Being the only restaurant in town, there is a huge opportunity to increase sales by doing breakfast as well. Another simpler income opportunity is to rent out the apartment that is vacant above the restaurant.